Students at China’s Zhejiang University build a pair of humanoid robots that can play a pretty good game of table tennis. Two British authors insist evidence of the Nazi leader’s death in his Berlin bunker in 1945 is flawed and that in fact he escaped with his “new wife” Eva Braun by plane and submarine to a South American hideout. There, the couple had two daughters and he died aged 73 in 1962. Nobel prize in Physics goes to the dark and almost completely unknown part of the Universe. 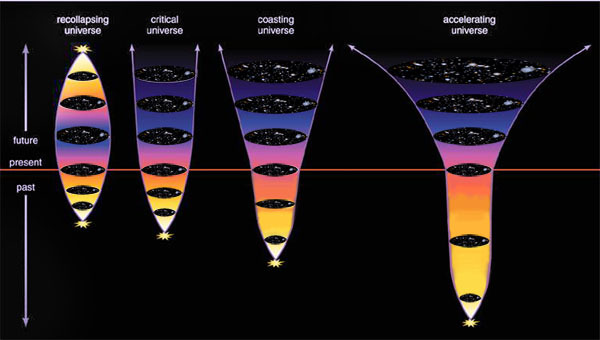 More correctly to the discovery of accelerate expansion of our Universe? Most of the people will say…”Whaaaaaaaat?” Well, we don’t really understand most of it but since computer models made a breakthrough in all cosmology based science equal to the one with discovery of telescope we are getting somewhere…First, there is a dark matter which is necessary to get our models to work! Most of the scientist think that it takes the form of heavy particles. In contrast, the evidence for dark energy comes from a single type of observation, and we have little or no idea what it might actually be. The question still stands…how do you develop evidence for something you can’t understand?